Singapore’s Ministry of Trade and Industry and the Chinese Ministry of Commerce have recently agreed to enhance their banking services cooperation under the China-Singapore Free Trade Agreement (CSFTA). Under this Cooperation, two eligible Chinese banks currently operating in Singapore will be granted Qualifying Full Bank (QFB) privileges. 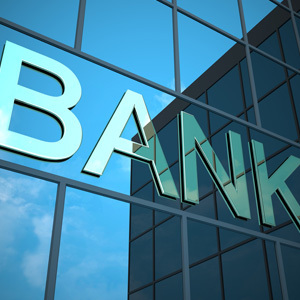 In turn, one of the two Chinese banks will be authorized as a clearing bank for the renminbi in Singapore. Moreover, China has also agreed to expeditiously process all applications made by selected Singapore banks for the establishment of branches and sub-branches in China, subject to their prudential law, regulations and rules. Relevant financial agencies of both countries will announce the implementation details soon. Analysis by Rikvin shows that QFB privileges granted to foreign banks in Singapore have been one of the key features of the country’s banking liberalization. QFBs enjoy greater branching privileges than other foreign banks in Singapore as these may conduct the full range of banking businesses permitted under the Banking Act, including retail deposit-taking. Between 1999 and 2012, the number of QFBs have increased from four to eight. QFBs have also been allowed to have 25 places of business, up from 10. Rikvin has observed that a diverse international presence remains the key strength of Singapore’s financial sector. “A majority of foreign banks opt to form a Singapore company to take advantage of the cost efficiencies here. With two additional Chinese QFBs in Singapore, and China agreeing to facilitate Singapore banks with cross border entry this mutually beneficial relationship is bound to expand further and benefit businesses here,” said Mr. Satish Bakhda, Head of Operations at Rikvin, a Singapore Company Registration specialist. Singapore and China have traditionally enjoyed strong bilateral economic relations, particularly in transportation services, financial and insurance and business services. In 2011, bilateral trade grew 6.4% year-on-year, registering S$101.4 billion. Trade in services export has also grown significantly in recent years. Currently, China is Singapore’s third largest services export destination. Such exports have increased by nearly five times over the last decade, from S$1.3 billion in 2001 to S$7.4 billion in 2010. “A big boost to this relationship was given by the CSFTA, which was the first comprehensive bilateral free trade agreement that China has signed with another Asian country covering trade in goods, trade in services, rules of origin, trade remedies, economic cooperation and dispute settlements, among others. The two governments conduct frequent reviews of the CSFTA to further improve its quality and smoothen its implementation. The recent move is one such example,” concluded Mr. Bakhda.